As with before , you should have AndEngine installed , we’ll be using AndEngine GLES2.0 for this [writing that name every time is not that fun >_>] so if you don’t have that installed you can follow any tutorials online , or use my tutorial for setting up AndEngine GLES2.0. Just make sure that it’s all working before proceeding, my awesome space ship will wait for you. Note that as that we’ll be having lots of classes, so I’ll try to finish each class and not come back to it .. this style might not be the same type as my previous tutorials but it’s an experiment and let’s hope [again] that it works :D.
We’ll only be using one Activity and will be switching between scenes, so create a new Java class and call it “BaseActivity” [cause I said so] then make it extends “SimpleBaseGameActivity”, you’ll notice that the default methods are different from the old version of AndEngine. Notice that I used static dimensions for the camera, this is better than the way I used before because this way will have openGL scale up/down everything depending on the screen size so you don’t really have to worry about screen sizes. We’ll be using Font later on to write text, so we’ll add it here. mCurrentScene is an object of type Scene that’ll be used to reference the top Scene , will prove to be useful later on. This Activity will be a singleton [if you are not familiar with the concept you’ll probably understand it while we work on it]. We let the instance object reference to this activity, the rest is straight forward. We’ll just have to create the mFont object and load it, I’ve decided to make it use the default font and bold it, text size is 32. Completely self explanatory , we create a new scene and chose it’s background color [I put random numbers :P] and returned it. getSharedInstance() will return the current instance for BaseActivity so we can get access to it [the 2nd part of making this a singleton class] and the setCurrentScene() would replace the scene and update mCurrentScene to the new scene. Every game got a splash screen , why won’t ours have one too ? there is no reason not to so we’ll create a simple splash scene where we’ll have the game’s name animate coming from both sides. Or you could chose your own name, whatever makes you happy and sleep at night like a baby :D.
Now we have activity object reference our BaseActivity singleton class and then initialize the Text objects, each would use the strings we put in strings.xml. Here we changed the positions of each text object to be aligned on the center and placed right outside the screen on both side then we attached both texts and added a MoveXModifier so it moves horizontally from both sides meeting at the center, not so flashy but it does the job and make you feel it’s from outerspace and stuff [not really ..]. We simply used the SplashScene as the starting scene here , and we got our awesome moving splash scene thingie and you can close this class for good. Main menu comes after the splash screen , right ? Let’s create our main menu then .. no fancy effects or options , it’ll just have one option that says “start” and when clicked the game starts .. good enough if you ask me [yeah I’m that lazy]. The MENU_START int variable is a flag for our start button , if you add some other button then you’ll need to add some other flag. You should send the current camera to the super class for it to work. Background colors are random numbers [not really , this was taken from the AndEngine examples ], the startButton is an IMenuItem with MENU_START as it’s flag , using our same font we created and the text from strings.xml. Position it at the center, add it as a menu item , and then we just register the current scene as a MenuItemClickListener. We just swallow the touch when the button is clicked , this would get changed later on to have the game start, now to test our main menu we have to open the SplashScene [again :D] and make some changes. Before we do that, lemme explain a good habit with splash screens, usually splash screens are used to load the resources [if any] so that the user doesn’t have to wait a lot to launch the app/game , but instead he gets a splash screen while a background thread loads the resources, we’ll just put a place holder for that and you can play around with it later on if you want to load any resources for your game. Fire up your SplashScene class and add a new method and call it loadResources() , put the following code in it [copy or type it , I prefer that you type it so you get an idea of what you are doing]. This is just a place holder, it just waits for 2 seconds and then tells the activity to change the scene to the MainMenuScene [yay we finally used setCurrentScene() :D] simple ‘eh ? Call that method at the end of the constructor of SplashScene, test now and you should get the splash animation then the scene will change to the main menu scene with your start button. Let’s make our ship now, since we are being more OO .. the ship will have it’s own separate class, so let’s do this. As that there should be only one ship on the screen at a time, and since that we’ll be accessing it a lot , we’ll make it a singleton class too. 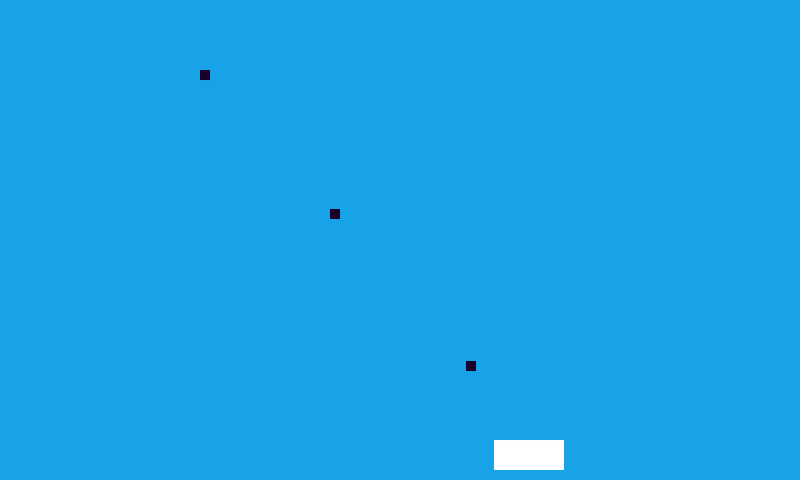 The ship’s sprite will be a rectangle [too lazy to make a new shape ? :P] and I decided that it should have width of 70 pixels and height of 30 pixels .. you may have your rectangle err .. your awesome space ship look however you want though! The initial position of the sprite is at the bottom center of the camera that we got from BaseActivity [notice that we didn’t attach it anywhere yet], the rest should be easy to understand. We’ll come back to this class later on..
Now we’ll need to have a scene for the actual game, we’ll call it something totally unrelated like … “GameScene” ! Sorry sorry .. lame joke I know ..
We are using the same lame blue background for the GameScene [cause I’m too lazy to change that] and then create a new Ship object [we call the getSharedInstance() method which figures if we have an object or not, power of singleton !!] and attach the ship’s sprite to the scene [NOT the ship object , the sprite !]. It’s been so boring and lame so far , right ? I mean the only thing that moved was the text .. and touching the start button [text thingie] is not that interactive , it shouldn’t be called interactive in the first place!! Anyway .. let’s have the ship [aka white rectangular shape thingie] move with tilt action , using the device’s accelerometer. We’ll keep the accelerometer’s speed data saved in the GameScene class, so add a new float to the GameScene class and call it “accelerometerSpeedX”, we’ll get back to this float later on. The GameScene object scene is used to reference our GameScene, the rest doesn’t need to be explained. We used the synchronized block to make sure that we don’t get a concurrentModificationException .. as in make it thread safe in a way. This should make accelerometerSpeedX in GameScene contain the value of the accelerometer X Speed which we will be using to determine how much to move the ship. While we are at it , add a boolean variable called moveable and set it to true in the constructor, this flag is used to know if we wanna disable the movement of the ship without pausing the whole thing.. we will use it later on. Regarding moveShip() method, it should basically get the accelerometer data when changed and it moves the ship according to the data you get, to be honest I didn’t write this part of the code .. I got the one in this thread and modified it to work only on the x-axis, basically it computes where the sprite should go to then checks if it’s within the boundries or not [so it doesn’t leave the screeen], no big deal [The code on the first page doesn’t exactly work, I posted a modified code that works on the same thread in the 2nd page]. Before we can have our white brick [aka ship] move around, we need to be able to call this method every frame so we’ll need an IUpdateHandler so create a new class and name it GameLoopUpdateHandler , make it implement IUpdateHandler then add the missing methods. We set the current scene to be the current GameScene [I know that we were doing that when we clicked on the start button, but that only sets it up AFTER this class is created as in after the constructor finishes being called , we need to change it in the middle] and then have our game listens to accelerometer sensor changes [and create a new SensorListener object so our accelerometerSpeedX gets updated]. At the end of this we register our GameLoopUpdateHandler() as an UpdateHandler. It’s worth it now, you can move the ship around with tilting the device .. try it ! try it now .. I insist ! Let’s start shooting stuff now , shall we ? Each bullet will be a 10×10 square, and I decided to change it’s color .. change the numbers for the color if you wanna mess with that. Again, if you wanna use images instead, you could do so by just changing the type of sprite to Sprite and making adjustments inside this class, everything else should work fine regardless. We’ll be using pools to reuse bullets .. you may wanna read my blog post about pools if you haven’t already. Even though the post is a part of my old tutorial, it’d give you an idea of what pools are and what they are useful for. I won’t explain this, so if you don’t know what it is then please take a look at my post that I linked previously to get an idea of what pooling is [it’s almost the same code used in there]. First we’ll need to keep track of the bullets we shoot so we know when to remove them and when any bullet hits something [after we create some stuff to shoot]. [Note: if you already did my previous tutorials then this is similar, but I chose to have shooting before creating targets so that I’ll be done with the ship class faster]. Check if the ship is not moveable then skip [it’s not moveable and shouldn’t be shooting anything too], we get the reference to the current scene [which is our GameScene] and obtain a bullet from the pool. Set the bullet’s position to be on top of ship’s sprite position [and in the middle]. We create a new MoveYModifier, an entity modifier is a something that you register on entities [sprites/shapes/etc] and when you register them they do some modifications, there are modifiers that rotates and others moves entities in certain ways. Our Modifier moves an entity along the Y axis by providing the duration it should move across between the initial and final positions you provide. In our case we move the bullet’s sprite from it’s current position till it’s completely out of the screen. The bullet is set to be visible and make it detach itself [I know this is already done in the pool , but for some reason it was nagging me sometimes about it having a parent when I attach it, so detaching again won’t hurt]. 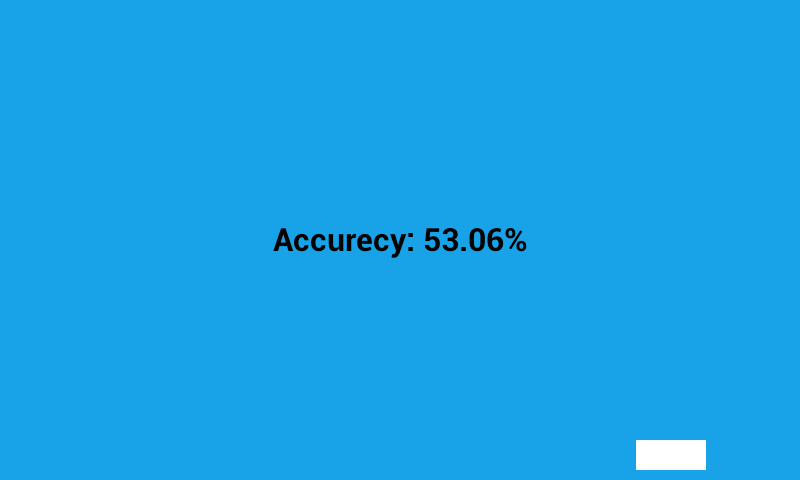 Attach the bullet to the scene and add it to the linked list, register the modifier [if we didn’t do this part the bullet won’t move, the modifier needs to be registered for it to work], and then incerement the bulletCount. Before we can use this, we need to do some configurations [it’ll be short I promise]. This just calls shoot() from here and returns true , telling the engine that we handled the touch event here and no need to send it to another place to be handled. Actually , if you fire up the game now it’ll work fine , but we didn’t clean up after the bullets [didn’t return them to the pool] defeating the purpose of having pools for reusability, so let’s do that before we end this section/chapter/finger .. whatever you wanna call it. Iterate over the linked list [using an iterator] and if the bullet went past the screen, return it to the pool [recycle it because we are enviromentalists and stuff] and then remove it from the linked list and continue [this continue will make sense later , I felt too lazy to remove it now and re-add it later on]. You are ready to go , fire up the game and start shooting bullets into void preparing for the enemy strike ! As you can see, the bullets shooting are happening too fast .. we need to have some sort of a cool down mechanism so there would be some minimum time between shooting bullets, let’s do this ! I’ll copy this part from my old tutorial , as that it’s the exact same class [and there is no need for me to write again , right ? :P]. I wanted to create a singleton class, so you only have one instance of this type in your whole program [special thanks to Mazyod, check out his blog, he blabbers about lots of useless stuff] thus it explains the getSharedInstance() method behavior [and why the constructor is private]. You call checkValidity() it should return to you true if you can have a bullet and false if you can’t, the valid flag is the one that decides it, if it’s true then it gets toggled and a timer gets a new Task that runs after a certain delay , 400ms in our case here [you can change that if you want] and then returns true telling you that you can have a bullet. Task is a class that extends TimerTask, it just makes valid true again when called [will be called by the timer after 400ms]. Even though shooting bullets like this is fun [if you are not having fun so far then you should go and eat a potato] we still need to have something to it .. but let’s organize that first. If you have ever played any invaders game, you’d notice that the enemies move together, to achieve that we’ll put some kind of Layer on Scene and have all the enemies added to it, so that when we move the layer all of the enemies move together ! [think of it as putting a table and placing everything on top of a table, if you move the table everything on the table moves too]. We got that figured out , let’s start making stuff! I decided that each Enemy would have a health value of 2 [HP = 2], so you’d need to hit it twice for it to die, it’ll also be a square [what a surprise !] that rotates at all time [it’ll also have a random color I generated]. MAX_HEALTH determines how many hits it needs to die , you can change this if you want. I’ll only explain the last line, we are registering a new Entity modifier [something like the MoveYModifier we used for bullets] that’s called LoopEntityModifier, this one takes other Modifiers as arguments and loops over them for a certain count number, and if not specified it’d loop forever.  We are giving the LoopEntityModifier a RotationModifier , telling it to rotate the sprite from 0′ to 360′ with a duration value of 5. The clean() method just cleans the sprites, we’ll use that before we return enemies to the pool [yes we’ll have an EnemyPool class too] which will explain why we have this init() method too. The gotHit() method gets called when you hit an Enemy with a bullet, it reduces it’s health and if the enemy dies then it returns false to the caller [which will take care of removing the enemy … we’ll get back to that later on]. Now we have our enemies created, let’s create that EnemyLayer class and make it extends Entity. I’m not explaining that [you should already know that by now] we’ll add some methods before we get into the real thing, let’s add an isEmpty method that tells us if the enemy layer is empty or not [if all enemies are killed or not]. Notice that both of them are static methods so you should expect that we’d use them from somewhere else. I decided to design this layer in a way that you can specify how many enemies you want, when creating a new EnemyLayer you’d provide it with how many enemies should it have and it’d arrange them in a proper way [but don’t overdo it and put lots of enemies, they’d overflow out of the screen] so the x parameter in the constructor defines how many you need, and the enemyCount variable saves that number for future usage [inside the restart method]. Let’s get to the restart() method where all the main work is in. EnemyPool is like the rest of the pools we used, but the version I made got some small changes [other than changing the type to Enemy]. This would detach all children of the EnemyLayer , iterate over all enemies and recycle them all then clears the ArrayList. I thought it’d be a good enterance effect to have the enemies [square thingies for now] move in the screen from random positions to their places [yes I’m that awesome, I think about awesome stuff like this when I’m not sleeping]. So in the restart() method we’ll iterate over the enemyCount variable, create new enemies, and place them at random spots outside the camera [so they are not viewable] then have them move to their correct places at once, let’s do that ! I’ll try to explain this [urgh .. ain’t that easy to explain >_<] we obtain an Enemy object from the pool, then we decide where it should be when it finishes it’s “fabulous” enterance animation in x and y.
I wanted to have a maximum of 6 enemies on each row , so I take count mod 6 [if you don’t know what mod is then you might wanna read about that or just play around with it to see what it does] then multiply it by 4 to have some gap between the enemies, multiply by the sprite’s width and you get the x position. The y position figures out which row you need to put the enemy on with the division operation then puts a smaller gap between rows than we had between columns. 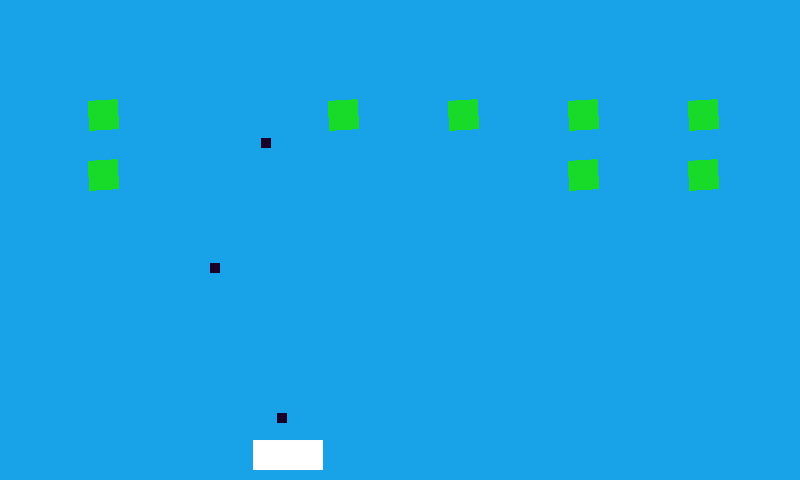 The rest is randomly choosing somewhere to place the enemy at [outside the camera] and then set it visible, then make it move from it’s current position to the final position and add it to our linked list. The numbers above were mainly generated by trial & error and some math [which I forgot how I did and don’t feel like thinking anymore about this], but I’ll explain what they do. I wanted to have the whole layer move in a rectangular like motion, thus explains the movRight,moveLeft,..etc modifiers. A SequenceEntityModifier modifier takes a bunch of modifiers as arguments and runs them one by one, since we want them to move forever, we’ll place the SequenceEntityModifier inside a LoopEntityModifier and register it for the layer. You can see that I put 12 enemies, you may play around with it and change the number to see how it works, run the game and celebrate your work ! Let’s now kill some squares ..err I mean aliens , to do so we have to detect when a bullet would hit something and when the alien loses all it’s health , it should be gone ! What that code does is , iterate over the enemies and for each enemy, you iterate over all the presented bullets, and as before, if the bullet left the screen then remove it and continue [that’s why we had a continue :D] if not then you check if this bullet collides with the enemy or not. If the bullet collided, then you send a gotHit() method call for the enemy, if it returned false it means that the enemy’s hp went to 0 [or below] so we recycle it back to the pool and then we recycle the bullet and break out of the loop to go to the next enemy. The basic game mechanism is done, but let’s add some purpose to this game, we’ll calculate the accuracy of the player .. so the more misses he makes the lowest his accuracy is, and then you can restart the game to try again. 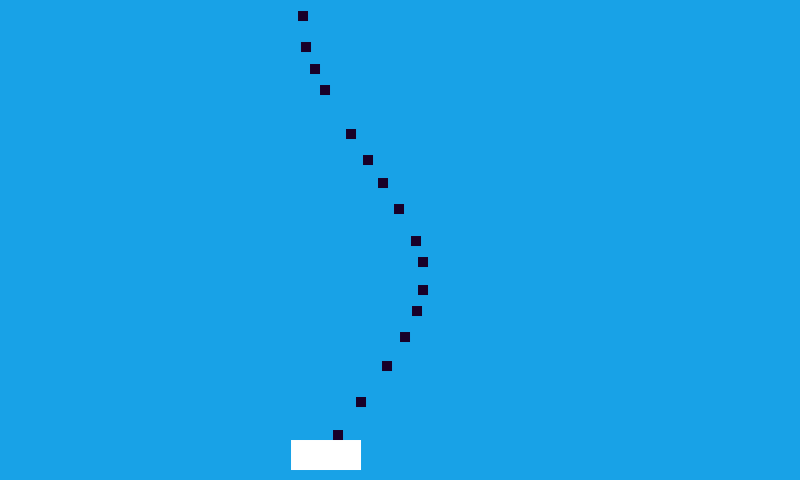 What this method does is that it disables the movement of the ship with the accelerometer, then move the ship to the middle of the screen and renable the movement of the ship. Then add this method to the GameScene class. Call this method from the constructor and remove the line where you register the UpdateHandler from the constructor. And now whenever a bullet misses, you should increment the missCount [if you don’t know which part is that then you may need to pay more attention to what you type and stop copy pasting the code :P]. And as that we are restarting the EnemyLayer here, you might wanna remove the call for the restart() method inside the EnemyLayer constructor as this will do it for you. We’ll now need to add a new scene to present the results, and we’ll call it … ResultScene ? This new Scene will not replace the old one, it’ll hover over the old scene as an overlay .. so your ResultScene should extend CameraScene and while you are at it , make it implements IOnSceneTouchListener and add the missing methods [only one actually]. The results will be a text that moves slowly from the bottom of the screen to the middle, and you can’t do anything till the text reaches it’s final position .. then if you touch the screen it gets dismissed. Didn’t your mom teach you to clean after you are done working ? this is no exception ! Explosions are always a good thing , no exceptions ! so I added this chapter because I thought that the game was missing explosion. I wrote a method that would create an explosion effect on any coordinate you provide on any target [Scene for example] you specify. [NOTE: you can use sprites instead of small rectangles, Check the AndEngine Simple particle example in the AndEngine Examples to get an idea of how to use sprites, should be easy when you are done with this]. We have 15 particles emitting at a rate of 500 [we set both the minimum and maximum rate to 500] you can mess around with those numbers to get different effects .. chose whatever you like [do that when we are done with this chapter so you can see the effect :P]. We’ll have our particles go into random directions while rotating and fade out [change Alpha value] at the same time, the particle system would last for a period of 2 seconds [the mTimePart] so we’ll have the particles fade out before the particle system gets removed so we don’t get a sudden disappearing effect. The velocity range is being set to -50 and 50 for x and y as max and min [it gets chosen by the system] for each particle so we may get any combination, that’s an Initializer so it modifies the particle before it gets emitted. Next we have the the system change the Alpha value of each particle from visible 1 to invisible 0 , for a duration of 1.2 [0.6 * 2 = 1.2] seconds and have each particle rotate while moving too. You might also wanna clearUpdateHandler() on your onDetach() method inside the EnemyLayer class just to be safe, enjoy explosions ! The tutorial ends here, remember that the whole idea of this project was to create a game without using any sprites and to use OOP, then I decided to write a tutorial about it .. so it may not be THAT good cause it wasn’t a tutorial in the first place. I do feel that I didn’t give this tutorial the attention it needed and that it’s not that clear [and feels kinda boring] but that’s the best I could do at the moment. The full project is available here or on github. And as always, if there was something wrong or something unclear [or missing] then don’t hesitate to drop a comment telling me about it [even for spelling errors !]. Good luck in your games development ! Note: sometimes when closing the game it crashes [about once in 10 times] from inside the Engine’s code, I’m not exactly sure why is that happening and don’t really have the time to look at it for now .. if you figured why is this happening drop a comment explaining it and I’ll update the post and credit you. Started with AndEngine last week and your tutorials are superb. Helped me with managing Bullets/Enemies and picked up some tips along the way. Great job! Thanks, Jim. Another great tutorial ! Just wanted to say thanks again for taking the time out to do this Jim, I really appreciate it. I have an issue with your singleton declarations, Ship,SensorListener classes. If you quit the game and run it again it throws exceptions ? I tried downloading the full project but the link doesn’t seem to be working. Any chance you can upload it again? Your right, I’ve been able to download it now. I have no idea why it wasn’t working before (mediafire gave me a page telling me the file didn’t exist)! I did all like you (Android 4.0, ADT 18.0, Eclipse Git addon, GLES2.0) but it still not working..! Yes I already read it and do it… so many times… maybe I’m too beginner but it looks like easy ! Seriously I really would like your help, I think it will not take much time. Hmmm. Since the Android Emulator can’t run with AndEngine. How do you see the output? Actually you can run it on the Android Emulator with the latest version of the AVD. You just need to set enable GPU and it can run GLES2 AndEngine no problem! Thanks. Yep if you edit one of your existing virtual devices in AVD Manager or create a new one, under Hardware section you can click New -> select GPU emulation as property -> set Value to yes. This will allow GLES2 to run on the emulator; however, I believe that you need to disable Snapshot for this to work. Where is the difference between SimpleBaseGameActivity and BaseGameActivity? Very nice tutorial! Thank you, helped me a lot! Just downloaded the whole tutorial why do you use import.org.anddev rather that import.org.andengine? In every class except in your cooldown class. BTW, I downloaded the tutorial via Github. What do you mean by fork? How to do that – when i’m in a GameScene, and when i press back button on mobile – app close, but i want to get back in the meny, and then if i in meny, i press back button – the app will close? sorry for my english, i’m from russia! http://pastebin.com/TM0p9wQX – this code is working, but sometimes ship is not moving, or app crash with the error.. Is this code correct? I’m new at programming.. sorry for attacking you with my questions. im in the beginning and copied the code word for word but the splash doesnt turn to the main. so i cant get past that part. its supposed to take 2 seconds right. i test it and just sit here and it never takes it to the blue screen where it says start. If, for exemple, I want to have a sprite for my ship, how should I load it in SplashScene, and use it in my GameScene? there are also other examples in there for loading animated sprites , check them out ! Thanks for the quicke reply! I must declare the ITexture and ITextureRegion in SplashScene, in loadResources(), I get it, but how use them in GameScene? Instead of this.mFaceTextureRegion, since it is not declared there, must I write SplashScene.mFaceTextureRegion? It must be static then? just make sure that your ResourceManager is a singleton, and you don’t create more than one instance of it ! Thanks! Perfect answer 🙂 That was I thought. I will try a singleton class then. Thank you for this quick and useful answer! ” have those objects declared as static variables , so you can access them as SplashScene.mFaceTextureRegion. [not recommended for big games]” well im not sure for that. and using static fields is recomended for that. Of course 2nd option (singleton) is usless as well. But i think in big projects is better using static fields to get sth. and the next topic suggests that you use final static whenever possible over just static. and that’s not recommended for big games cause you may have issues remembering where you saved your texture object , and if the main object class is not a singleton , there is a chance that you create another instance of it which means that this new instance won’t have the same objects in the first one which means the data you initialized won’t be usable from this new instance. hey jim fantastic job …(though i hav nt tried it yet….but atleast u gave a meaningful text which i can undrstnd….) !!! wht abt a video tut abt it….it makes life more easy !!! as u say sire….but i wish and hope u will continue to more complex tuts abt andengine…. I’m not sure what you mean by this , could you clarify ? I don’t really understand what you mean ..
i have read this tutorial and was a great help for me, tried your approach of using scenes in a different class then extending it to scene class. however, when adding sprites, activity(which is BaseActivity.getSharedInstanced).getTextureManager() results to a null pointer exceptions, is there a workaround for this. TIA. Sir How can you fix the resolution for the android device ?? sir Thank you for your great tutorial ..
I’m newbie, and I just learned this Andengine. It’s awesome and I was interested to this tutorial, but It make me a little confused cause of just piece of code that I can read, not all project. I got error, espessially when I create Create a new class called MainMenuScene that extends MenuScene and implements IOnMenuItemClickListener. May I know whole of this source code? At least Java on src folder project. Why did you need to call init()? why not just return an enemy object immediately since init() would be called in constructor Enemy() anyway? in Enemy(), init() is called. Hi Jim! Just one more question. Again about the pool. the method obtainPoolItem() calls both onHandleObtainItem and onAllocatePoolItem? The difference is just that onAllocatePoolItem is called if there is no item in the pool. And if there is an available item to be reused, onHandleObtainItem is called.Did i get that right? Just wanna ask why the bullet pool didn’t have onHandleObtainItem if it’s job is to reuse recycled items in the pool. Since Bulletpool only has onAllocatePoolItem, does that mean that it creates new Bullet items everytime shoot() is called? Thanks. Emulator run this project OK! In my opinion I advise you following the tutorial above, testing step by step and looking sources code on gits together. I guess my activity always load mBitmapTextureAtlas and EnemyLayer never empty right? unfortunately It’s only show the last ITextureRegion for all MenuItems. Why? Thank you Jim 🙂 I was succeed. Now I really know how BitMapTextureAtlas work!!! I think if include javadocs Andengine becoming better. Thanks Jim. Help me a lot in learning AndEngine. Thanks bro for your works,I am on the way of learning your fabulous tutorial. In Your ResourceManager Class Inside LoadMainMenu() I didn’t understand CONST.WIDTH, & CONST.HEIGHT? can u give us explanation? Is it the device width & height? Thanks for quick reply. I understand why BuildableBitmapTextureAtlas stands for. I have a custom scene called GameScene. I create a method LoadResources() inside it.It works fine. i got error. Null pointer exception. Can u help me how to use ResourceManager in My GameScene class? are you sure that your ResourceManager class’s instance is decalred like this ? The Texture and TiledTextureRegion are populated in onCreateResources() of BaseActivity.java. where myTextureRegion is a TiledTextureRegion from BaseActivity. Any ideas how to use animated sprite in ship.java? I tried using Sprite instead of AnimatedSprite and it works.. used the same spritesheet (with tiles) for the texture region of that sprite and it works.. why is animated sprite not working? please help! at this point the logcat gives the error onCreateScene failed. Having a problem with the tilt movement, the square just stays there it doesn’t move if I tilt the device any help? Any advice or tutorials you know of to implement physics box 2d in an object riented style like the one you taught? I am pretty proficient at AndEngine but am struggling to make a solid smotth transition into making my programs Oobject oriented. of course this would cause you trouble at first, some people argue that for small projects it’s not worth the time .. that could be true, but if you are just starting I think it’s good to learn how to do stuff the proper way, after all if you couldn’t do the small thing how are you gonna do the bigger ones ? Can i use One BuildableBitmapTextureAtlas to load several textureRegion in different Scene in my Game ??? I’m trying out your method of calling a class that extends Scene in my project but I am encountering an error. When I try to call the scene(well, class extends scene), I am getting a NullPointerException error. What could be the reason I am getting a NullPointerException error? The issue was in relation with the singleton thing. However in my case, I wanted to do it with passing BitmapTextureAtlas’es through classes. Didn’t think I had to singleton the entire class itself. Actually gonna try to implement that in my code now, but if ever that was the problem. Great tutorial! I finished all and it worked with some minor changes. How do i have to change the EnemyPool and the EnemyLayer? Or do i have to make new pools and layers for each new enemy? I tried to look up stuff about object pooling but those examples where about business applications not games. Well thank anyways! Sit, you did it great, but I should tell you that this tutorial isnt for beginners 🙂 There’s a lot of implicit thing(such as calls that you don’t cite). But I think this is a great tutorial! You must translate it to other languages so more peoples can gain access to it! Hey I just wanted to say thank you for posting this tutorial. Guys like you are the ones that really make a difference in the world. When the time is right I hope to do the same. Oh I’m also gonna buy your book. Quick question regarding this tutorial, I got the the part were you “Kill the squares” however after implementing it, when I shoot the boxes, they die but they don’t disappear. I know they die because i put a log message to output “collide!” when they are hit and if i position my ship to the edge and keep shooting, the “collide!” only outputs 4 times, which means 2 squares were killed and they don’t exist anymore, except they visually do. Also in the tutorial, just after you introduce the purge() method, there are blocks of code(used to create the enemies and animate them into the game) under it that didn’t specify where they should be put. I ended up putting that code in the constructor. I’m not sure if you have addressed any of these in the comments, to if you have let me know and I will go through the comments. Side note: still waiting for the book you took part in too arrive tomorrow. Using this tutorial as a warm-up. I think the problem may be that detach isn’t called after the square dies. Also I don’t think purgeAndRestart is ever called. I may be mistaken because I haven’t finished the tutorial yet. Actually I have finished the tutorial now and everything turned out fine. I like the way the tutorial was made, you get the sense of accomplishment when you’re done because not every single step is provided. Also it didn’t hold your hand too much along the way. If this is a beginners tutorial then I definitely need to step my game up because it felt a shy away from advanced Java. I’m going to play around with it while I wait for the book and truly get started. I would advice everyone who do this tutorial to finish it first before looking at the source if you want to learn something. Thanks Jim for such an awesome tutorial.I downloaded the whole code and ran it.But the problem is the ship is not moving at all.Please help me. Hey, I was wondering if I wanted to add a counter to tell you how long it took you to complete the level, how would I do that. Currently I have a System.CurrentTImeMillis at the beginning, and another System.CurrentTImeMillis at the end of the level (when there are no more enemies) and I subtract them and divide by 1000 to get seconds. But I cannot get it to work, I always get the same answer. Where would I put the code to get the time at the end. If Im doing it right at all? in a game that I made, I had to implement a timer to show the user how much time has elapsed and update it on the screen, to do that you use an IUpdateHandler [make a private class and have it implement IUpdateHandler] and override the onUpdate() method. Hey Alaric, i am also tring to convert this to Anchor Center. Can you show all of your restart method? 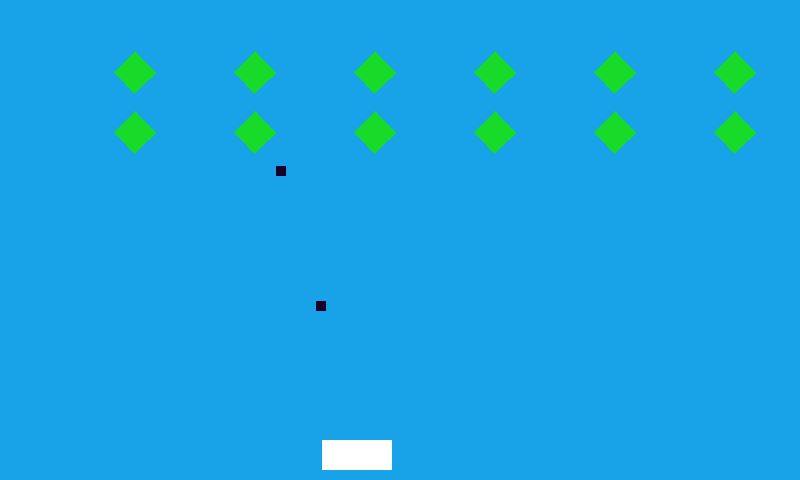 Hi jimmar i make a game with help of yours, i have just a problem; i replace the rectangel(Enemy) for a sprite and make the same in Ship, when i tried to make a collision detection on class GameScene, in method cleaner(), if doesn´t detected the collision between ship.sprite and e.spriterojo so i called them. hier is some code…. But, everything runs fine, I’m just curious why it says that error? But, everything runs fine. I’m just curious why it says that error? This is a good tutorial. I have also written tutorials on Andengine on http://www.nerdyguru.com Please go through them. I am planning to write a complete game tutorial shortly. Doesn’t work for me while loadResources() is mentioned. How come it works if it’s not called anywhere? That is another graet Tutorial..thanks alot and please keep sharing your tutorials..again Thanks Alot and much appreciated..!! 2) I’m working on the HP’s bar of character, Can i, somehow, implement the sprite’s drawMethod, to make it draw on every update? Hey Jimmar! Thanks for all the tutorials . They are very helpful. I made it all without using any images at all. Do u think such games can be made easier using AndEngine? I just used android canvas and all the drawing, paint, etc. Im a fan of yours n just wanted to show u my work. Keep up the good work. good job man, I like it ! I was following your tutorial to a T and when I got to the ship part it shows the ship at the top of the screen not the bottom. Any ideas on this? Yes that was it, didn’t realize I was using the other branch. Thanks and I went through the tutorial and that was fun! Good job on it and thanks for educating me on andEngine. Might give it a go for a fun test game. Amazing work! But im noob with this and im having a doubt. Can this game be changed to work with the touch and drag system used in the ninja game? Im trying it introducing the IOnAreaTouchListener in the Ship class, and then overriding the onAreaTouched method. I dont know if this is the correct method. Thanks for the tutorials, theyre very helpfull. If you leave the particles for a longer time, you realise, that they are moving with the enemy layer. That’s not too “awsome”. So I updated the call of the “createExplosion()”. good job on fixing that and making changes! Hello, I’ve noticed after adding the particle part that if you quit the game while particles are on the screen, it crashes instead of closing safely. It throws me indexOutOfBoundsException. Probably because of the for loop in GameScene’s detach method but I’m not sure how to repair this. I’ve noticed other discrepancies but I figured you’ve put them there to make sure we were following. Anyhow, thanks a lot for the tutorial; this is really being helpful for me to get started with andEngine. Well it was very helpful anyway, helped me write my first game! My ship is on top of the screen shooting down and the enemies are not placed correctly. I assume the Y coord is different (0,0 == top_left not bottom left?). however thanks for the tutorial. Here is my fix it for the new coordinate system. Hope this helps for updating this tut. thanks a lot sir …….